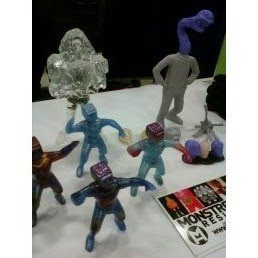 MONSTREHERO: MonstreSean at WonderCon Right now!!! 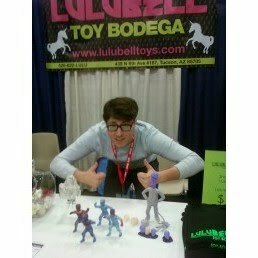 Everybody at wondercon be sure to go by Lulubell Toy Bodega's booth #223 right now to meet clean shaven 1/2 of the monstreDuo, MonstreSean!! He's got an awesome sparkle resin edition of Skullminion and some sneak peeks of MH goodies to come.